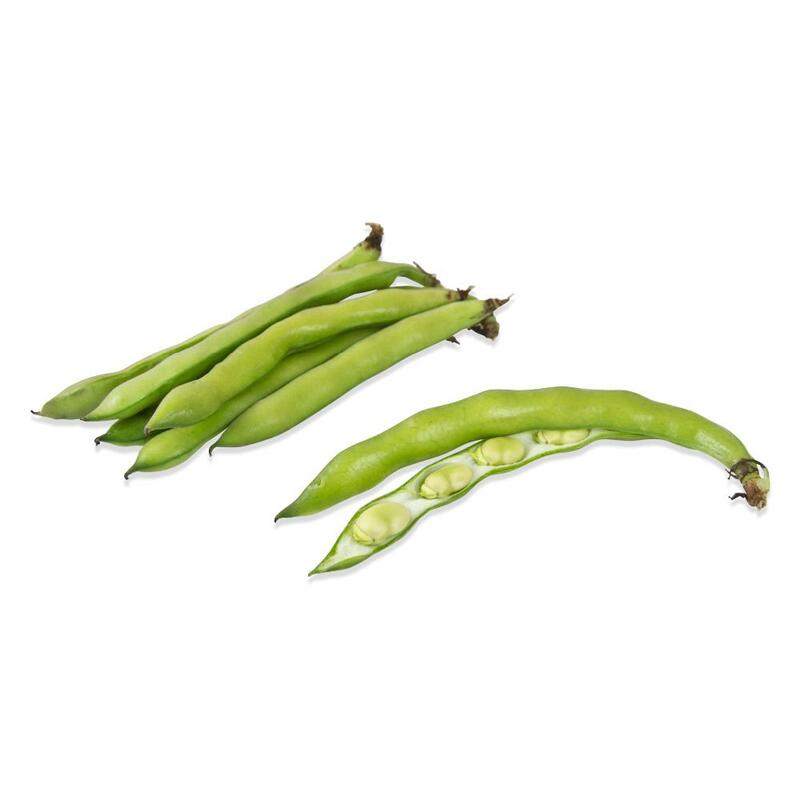 Fava beans (aka broad beans, horse beans) are large, flat beans with a mild, sweet flavor. They have been consumed since the Bronze Age (possibly longer) and were actually one of the only beans known to Europe before other varieties were introduced from the Americas. Today favas remain an important (and delicious) foodstuff in many countries across the world. Store fava beans in a plastic bag in your refrigerator. 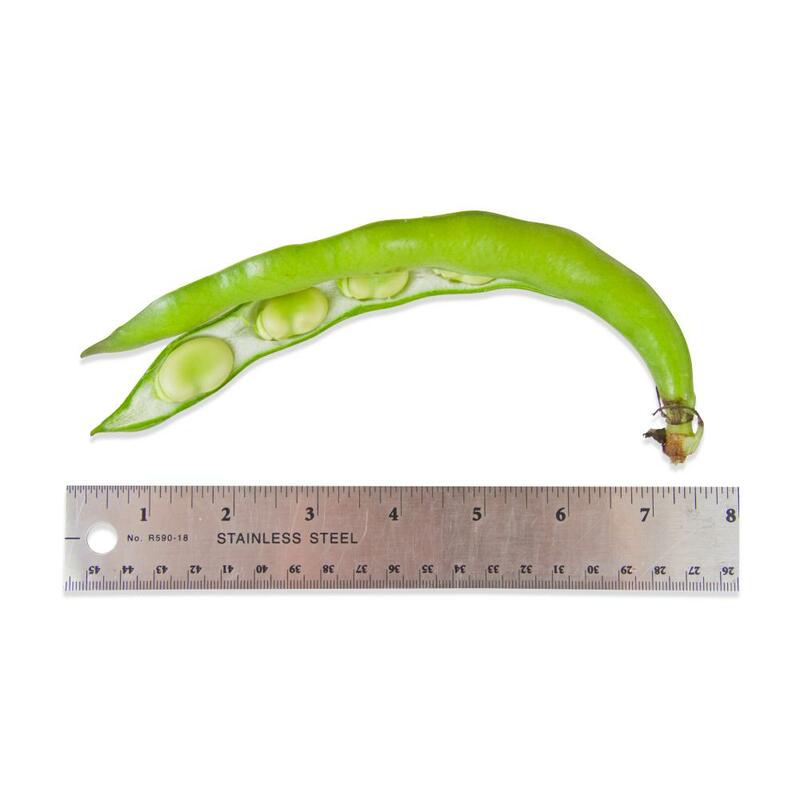 Fava beans' outer pods will keep their fresh appearance for 3-5 days. The beans should stay fresh for 5-7 days total. Remove fava beans from their inedible pods before cooking. Once out of the pod, many recipes call for briefly blanching the beans in boiling salted water for about 30 seconds, then shocking them in ice water. This makes it easier to peel the thin outer skin from the beans with your fingers. Once the beans are peeled they can be eaten as-is or further cooked (often sautéed). Try them over pasta, in salads, as a simple side dish either cooked with other vegetables or by themselves. They can also be blended into purees and dips. Like green beans and peas, fava beans are very adaptable. They work particularly well with ingredients like garlic, lemon juice, fine extra virgin olive oils, seafood, corn, pecorino cheese, stronger meats like duck & lamb and a wide variety of herbs (fresh savory, thyme, parsley, mint & basil especially).